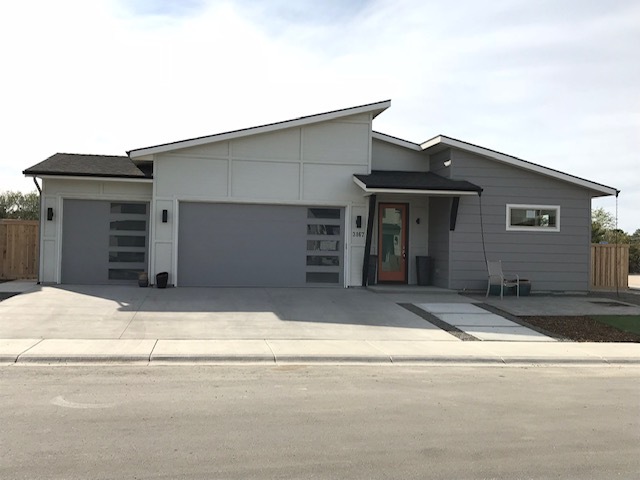 Congratulations to my client Vicki on her brand new home with a mid century flair design by HL Worx in conjunction with Neos Construction LLC and Harding Homes. The home was designed with skilled architect/urban designer Sherry McKibbens of Sustainable Idaho. 3 bed/2 bath/3 car garage/1,847 sqft with many upgrades.